An issue that often comes up when talking about regional planning is the dynamic between the big (and usually more powerful) cities and their suburban and small-town counterparts. So I was curious to talk with officials from smaller municipalities around Torino to hear what they thought about the regional plan. Was it a success for their communities, or were they overshadowed by the more powerful interests in the City of Torino? Last week I met with three mayors of small suburban communities. One is currently serving as mayor, one is a former mayor, and the third will be sworn in as mayor next month. All three have been supportive of urban transformation and involved in regional planning, but they had radically different perspectives. The current mayor had only positive things to say about the regional plan and its benefits for his community. The former mayor was quite skeptical about the long-term prospects for regional collaboration. The soon-to-be mayor has a lot of ideas and enthusiasm. Note: The interviews were conducted in Italian with help from translators, so what follows bellow are approximations, not exact transcriptions. Carlo Novarino was the mayor of Moncalieri, the largest suburb of Torino and location of the Savoy summer “home” – a large castle that is a popular tourist destination. He served as mayor throughout the strategic planning process in the 1990s. Novarino swears he is done with politics, and currently works for the local Association of Architects. I met with him at his office in central Torino and haven’t yet had the chance to visit his town. What are the unique traits of the smaller cities and towns in this region that impact the regional planning process? The smaller regions have less financial resources than the city. As of 2002, the public spending per person in Torino was 1500 euros. In Moncalieri, it was 700 euros. This holds true for transport, schools, culture, planning, everything. Also, the small communities, many of them have existed for a thousand years, so they have a strong sense of independence and a tradition of municipal government that is competitive with other municipalities, not collaborative. Will the new Metropolitan Rail System benefit these communities? Yes, but its not perfect. All the trains lead to Torino. But there are many people in Moncalieri that commute to another suburban community, not Torino. Some of the smaller municipalities suggested that the system should include better connections among the outer ring suburbs, for example by expanding bus service on the highways that connect the smaller suburban communities. But the City of Torino didn’t like this idea, so it didn’t happen. Why are the biggest challenges to regional planning in the Torino metro area? The two major problems are 1) lack of a clear governance structure and 2) choosing projects. The municipalities quarrel over where new development and transportation projects should be located, because each municipality is looking out for their own interests. It is easier for municipalities to compete than to collaborate. 30% of the municipalities’ funds comes from development, so more development = more money. Outlet malls are the big thing now because they make a lot of money for the municipalities. Also, mayors are accountable to little special interest groups, not the city as a whole. So this makes the politics difficult. What may be good for the city or region as a whole isn’t necessarily good politics for the mayors. How can the metro area work together more effectively? They should focus more energy on smaller projects and those that are less controversial, to build trust. For example, there is a string of parks and tourist sites along the river in the south of the region, and improving and marketing this area to tourists would benefit all the municipalities and the region as a whole. Thinking broadly, how would you improve regional collaboration and planning in the Torino are and Italy as a whole? Regional planning won’t ever truly succeed until we simplify the governance structure and create better financial incentives to collaborate. Right now there are too many competing entities and duplication of roles. This is inefficient and wasteful of public resources. But this won’t happen without intervention at the federal level, and there is a disconnect – the federal government doesn’t listen enough to the regions. 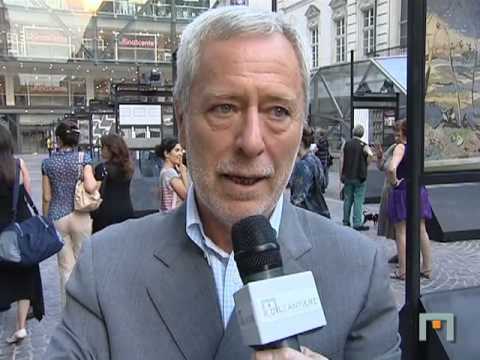 Marcello Mazzu is the current mayor of Gruliasco, a working class inner-ring suburb of Torino. Mazzu is a physician by training and has served as the City Council since 1994. I rode the Metro and bus out to Grugliasco to meet with Mayor Mazzu at the modest city hall in Grugliasco’s small historic center, which has a lovely old church, cobblestone streets and a nice public park. Outside the center, the town bears the signs of rapid growth typical of Italy’s post-war boom: generic high-rise apartment buildings surrounded by parking lots, swaths of industrial areas along the rail lines and wide arterial roads dominated by cars. Overall, how has the regional transportation plan affected your city? The regional plan has had both benefits and costs for Grugliasco, but the benefits far outweigh the costs. 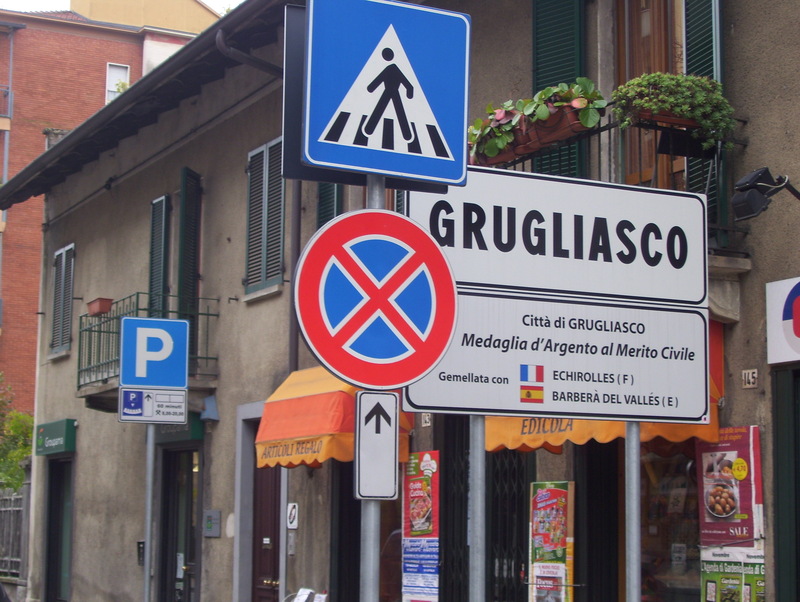 Grugliasco has a line on the Metropolitan Railway system and a Metro station is at the edge of the city. The tram and bus network in Grugliasco has been reoriented to deliver passengers to the Metro station, and similar changes will happen when the new rail system is complete. Transit ridership has ‘certainly’ increased as a result of these improvements. But aren’t these changes costing a lot more money? How are you paying for it? Not for Grugliasco. Its a matter of using existing resources more wisely. Also, collaboration with the city and the other small municipalities can be helpful in offsetting costs. For example our bike sharing program is very successful and almost pays for itself now. But we couldn’t have done this without the City of Torino and the other municipalities, who are all using the same program. Recommendations for other regions that want to make regional planning work? It should not be political or a left-right battle, because these problems are not left-right problems, they are everyone’s problems. Also state and fed governments need to give the regions more power and control, as well as resources. Well, OK, so I didn’t actually “meet” with Ann. 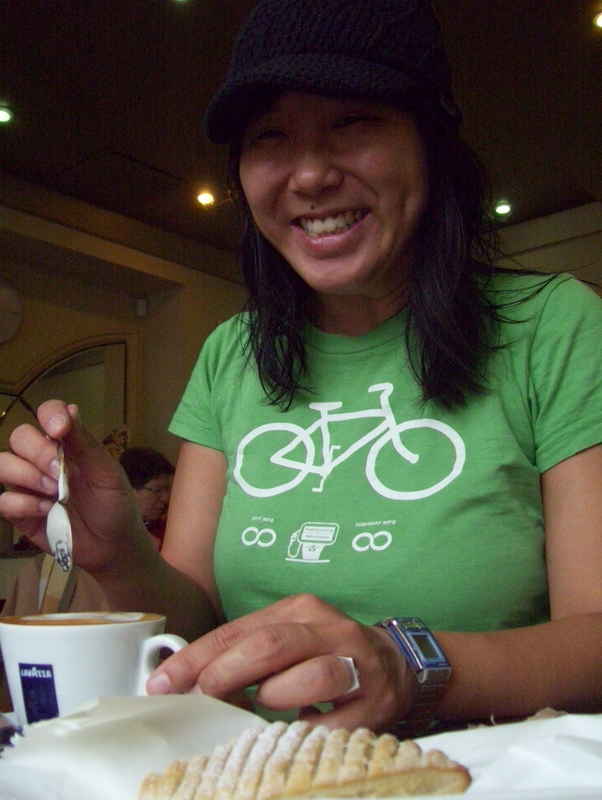 She is a good friend and she came for a visit while traveling through Europe with her husband Wiley. Their visit coincided with my mayor meetings, and Ann is indeed about to become Mayor of El Cerrito, so it was opportune timing. Ann currently serves on the city council of her hometown of El Cerrito, an inner-ring suburb in San Francisco’s East Bay Area. She’s also a planner and a walk-bike-transit-activist, so her goals for El Cerrito are very much aligned with the goals of SB 375. She has already outlined her agenda for when she becomes Mayor, and it was really interesting to hear her perspective on what it means to run a city and try to make change happen from the inside. Ann has also developed a great new tool to evaluate the transportation impacts of a proposed development project. The tool is called GreenTRIP and, like the LEED certification program for energy-efficient development, it certifies projects that meet the highest standards for reducing traffic and greenhouse gas emissions. You can read more about GreenTRIP here. Ann is also the person who told me about this fellowship, and sent me the call for proposals. So I’m very grateful to her! Speaking of which, the German Marshall Fund is now accepting proposals for next year’s fellowship. You can learn more about the fellowship and apply here.